Project Intu is intended to simplify the process for developers wanting to create cognitive experiences in various form factors such as spaces, avatars, robots or other IoT devices, and it extends cognitive technology into the physical world. The platform enables devices to interact more naturally with users, triggering different emotions and behaviors and creating more meaningful and immersive experience for users. Developers can integrate Watson services, such as Conversation, Language and Visual Recognition, with the capabilities of the "device" to, in essence, act out the interaction with the user. Instead of a developer needing to program each individual movement of a device or avatar, Project Intu aims to make it easy to combine movements that are appropriate for performing specific tasks like assisting a customer in a retail setting or greeting a visitor in a hotel in a way that is natural for the end user. Typically, developers must make architectural decisions about how to integrate different cognitive services into an end-user experience – such as what actions the systems will take and what will trigger a device's particular functionality. Project Intu offers developers a ready-made environment on which to build cognitive experiences running on a wide variety of operating systems – such as Raspberry PI to MacOS or Windows to Linux machines. For example, IBM has worked with Nexmo, the Vonage API platform, to demonstrate how Intu can be integrated with both Watson and third-party APIs to bring an additional dimension to cognitive interactions via voice-enabled experiences using Nexmo's Voice API's support of websockets. The growth of cognitive-enabled applications is sharply accelerating. IDC recently estimated that "by 2018, 75 percent of developer teams will include Cognitive/AI functionality in one or more applications or services." This is a dramatic jump from last year's prediction that 50 percent of developers would leverage cognitive/AI functionality by 2018. "IBM is taking cognitive technology beyond a physical technology interface like a smartphone or a robot toward an even more natural form of human and machine interaction," said Rob High, IBM Fellow, VP and CTO, IBM Watson. "Project Intu allows users to build embodied systems that reason, learn and interact with humans to create a presence with the people that use them – these cognitive-enabled avatars and devices could transform industries like retail, elder care, and industrial and social robotics." Project Intu is a continuation of IBM's work in the field of embodied cognition, drawing on advances from IBM Research, as well as the application and use of cognitive and IoT technologies. Making Project Intu available to developers as an experimental offering to experiment with and provide feedback will serve as the basis for further refinements as it moves toward beta. Watson represents a new era in cognitive computing, continuously learning from previous interactions, gaining in value and knowledge over time. Watson is open to the world, and its solutions are being built, used and deployed in more than 45 countries and across 20 different industries. In an announcement at its Watson Developer Conference, IBM is partnering with Topcoder, a global software development community comprised of more than one million designers, developers, data scientists and competitive programmers. 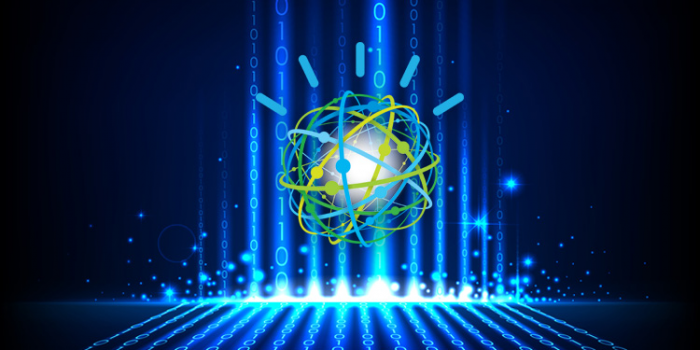 The partnership will make Watson and IBM Cloud services available to the community to help advance learning opportunities for cognitive developers who are looking to create the next generation of AI apps, APIs, and solutions. Topcoder hosts 7,000 code challenges a year and has awarded $80 million to its community.